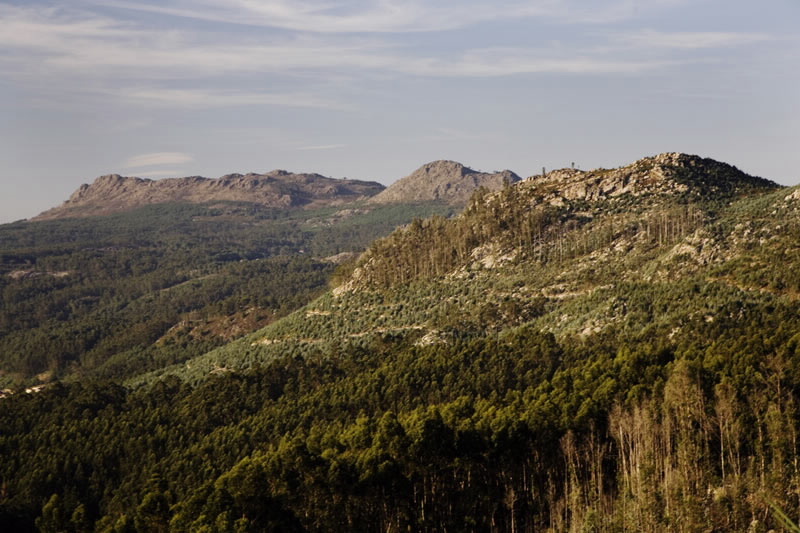 Without the hustle and bustle of cars in the background, with unbeatable views and an almost untouched wild environment, Serra da Groba is a paradise for hikers and lovers of Galicia’s most ‘enxebre’. These mountains include the municipalities of A Guarda, Baiona and Oia, in the province of Pontevedra, where it is especially easy to disconnect from stress and forget the stresses of everyday life. The proximity of the mountain range to the Atlantic Ocean offers an incredible panoramic view of the nooks and crannies produced by the sea on the coast. In viewpoints such as that of O Cortelliño, situated on the way to the top of A Groba – at an altitude of about 663 metres – we will find good evidence of this. At each step along the paths and trails that run through this place, we will be surrounded by a vegetation of pines, low scrub plants such as the ‘toxo’ and other species typical of the area, which accompany the wild horses that graze freely in this terrain. An autochthonous species that can already be seen in very few areas of the autonomous community and that presents a greater concentration in this mountain range. An unquestionable attraction if we want to enjoy natural life in its purest form. 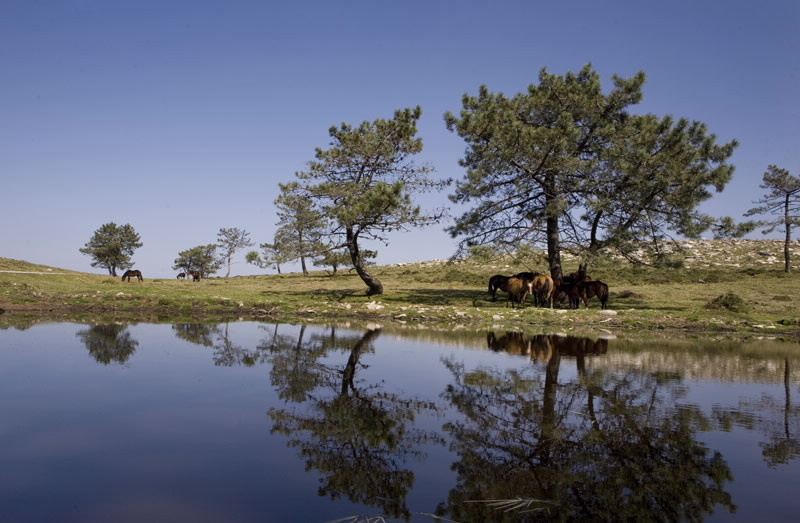 In fact, it is one of the few places that maintain the tradition of the curros – better known as ‘Rapa das Bestas’ -, an ancestral celebration of Galician popular culture, in which every year the wild horses are marked. On the other hand, the presence of these animals is also reflected in the concentration of engraved rocks dating from the Bronze Age. A testimony of the presence of this type of cattle for thousands of years, which can be seen thanks to the route of petroglyphs to Campos and Outeiro dos Lameiros. There are other examples of rock art in the area that you can’t miss, such as the large stone labyrinth written in Burgueira, A Cabeciña in Mougás or the hunter’s stone in Pedornes. Of course, if you still feel like it, another option is to follow the secondary route of the Portuguese Way along the Coast that crosses the Serra da Groba. You don’t have to be a pilgrim to travel a few kilometres of this Jacobean itinerary with so much historical and environmental value. Finally, the colophon to a day of disconnection, we can find it in the inferior part west of the mountain range, where they are the Pozas de Mougás. A space that becomes a place of enjoyment for bathers in the summer months, but which presents its best face after the rainy season, when the abundance of water forms true wonders.